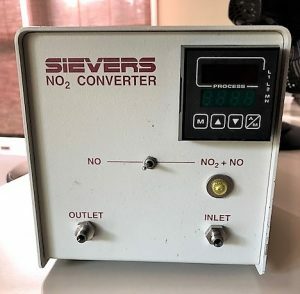 Previously available from Sievers, this unit utilizes thermal reduction technology to convert Nitrogen Dioxide to Nitric Oxide to ensure ultra low level of NO2 ( less than 2 ppm) in the incoming gas stream. 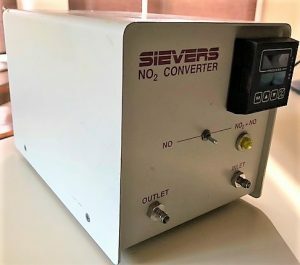 Designed to be integrated with the NOA 280i, the converter has 2 modes. The first simply converts NO2 back to NO, to reduce the amount of NO reaching the NO Analyzer as NO2, which cannot measured by the NOA. The second mode measures NO2 and NO together, so that when the NO2 is converted back to NO as it exits the unit, the initial levels of NO2 can be calculated by difference. 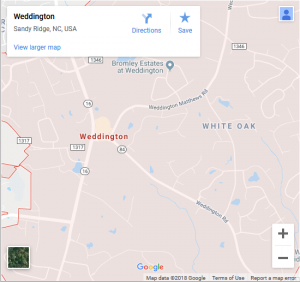 This unit is still in development.